There are some areas of this site that I believe are especially interesting. If you look at nothing else, take the time to check out these pages. Not only is this survey a measure of the sophistication of the company, but a rare snapshot of the operating practices of ham radio operators in a time of great changes in communications technology. It is includes 10 detailed graphs of the use of the radio spectrum by hams on the shortwave bands. 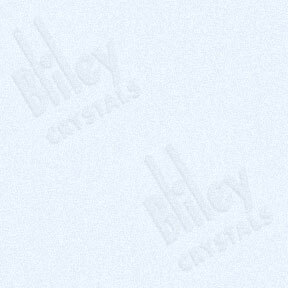 200 kc Variable Crystals--Could Bliley's inventions have changed the communications industry a third time? While this may seem preposterous, I think there is sufficient evidence in a suite of 1940s vintage patents that may change your mind. At a minimum, it will impress you. Imagine a single crystal that covers 200 kc at 3,500 kcs. Check it out and let me know what you think? Interested in seeing old ads, catalogs, patents and magazine articles featuring Bliley products? If so, then check out this index page; it contains resources from the obscure to the ubiquitous. Looking for advice on the design of crystal oscillators? Here is a 32-page guide published by Bliley's for seven years from 1938 to 1943 that will provide you with practical information on practical designs for many applications. Suitable reading for radio amateurs and commercial designers alike. The complete contents of the 1943 version are available for online reading and in PDF format for off-line reading and printing. Are you interested in a great story on how technology is influenced? If so, then you have to read this well researched and written history of how the interests of ham radio operators in the 1920's and 1930's changed the direction of frequency control in commercial and military communication devices. Authored by a well-respected Hewlett-Packard engineer and historian Patrick Brown, N7KRG. Yes, you will find more than one reference to the accomplishments of Bliley Electric Company and its chief engineer, John Wolfskill, W3QKT.